Ever since it was first proposed by Democritus in the 5th century BCE, the atomic model has gone through several refinements over the past few thousand years. From its humble beginnings as an inert, indivisible solid that interacts mechanically with other atoms, ongoing research and improved methods have led scientists to conclude that atoms are actually composed of even smaller particles that interact with each other electromagnetically. This was the basis of the atomic theory devised by English physicist J.J. Thompson in the late 19th an early 20th centuries. 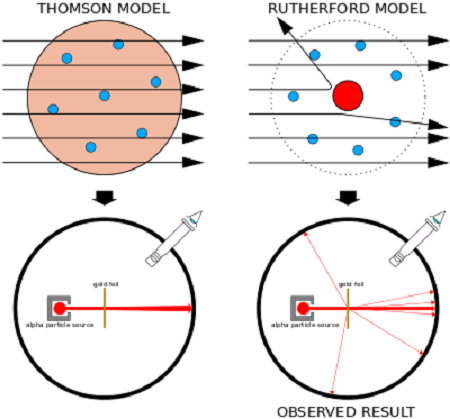 As part of the revolution that was taking place at the time, Thompson proposed a model of the atom that consisted of more than one fundamental unit. 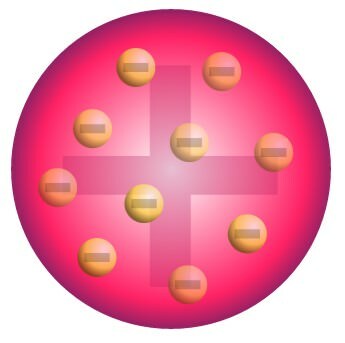 Based on it’s appearance, which consisted of a “sea of uniform positive charge” with electrons distributed throughout, Thompson’s model came to be nicknamed the “Plum Pudding Model”. Though defunct by modern standards, the Plum Pudding Model represents an important step in the development of atomic theory. Not only did it incorporate new discoveries, such as the existence of the electron, it also introduced the notion of the atom as a non-inert, divisible mass. Henceforth, scientists would understand that atoms were themselves composed of smaller units of matter, and that all atoms interacted with each other through many different forces. It was not until the 19th century that the theory of atoms became articulated as a scientific matter, with the first evidence-based experiments being conducted. For example, in the early 1800’s, English scientist John Dalton used the concept of the atom to explain why chemical elements reacted in certain observable and predictable ways. Dalton began with the question of why elements reacted in ratios of small whole numbers, and concluded that these reactions occurred in whole number multiples of discrete units – i.e. atoms. Through a series of experiments involving gases, Dalton went on to develop what is known as Dalton’s Atomic Theory. This theory expanded on the laws of conversation of mass and definite proportions – formulated by the end of the 18th century – and remains one of the cornerstones of modern physics and chemistry. The theory comes down to five premises: elements, in their purest state, consist of particles called atoms; atoms of a specific element are all the same, down to the very last atom; atoms of different elements can be told apart by their atomic weights; atoms of elements unite to form chemical compounds; atoms can neither be created or destroyed in chemical reaction, only the grouping ever changes. 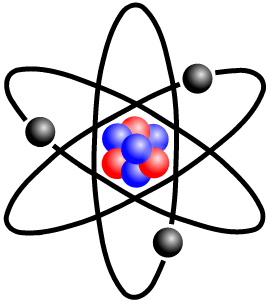 By the late 19th century, scientists also began to theorize that the atom was made up of more than one fundamental unit. However, most scientists ventured that this unit would be the size of the smallest known atom – hydrogen. By the end of the 19th century, his would change drastically. Sir Joseph John Thomson (aka. J.J. Thompson) was an English physicist and the Cavendish Professor of Physics at the University of Cambridge from 1884 onwards. During the 1880s and 1890s, his work largely revolved around developing mathematical models for chemical processes, the transformation of energy in mathematical and theoretical terms, and electromagnetism. However, by the late 1890s, he began conducting experiments using a cathode ray tube known as the Crookes’ Tube. This consists of a sealed glass container with two electrodes that are separated by a vacuum. 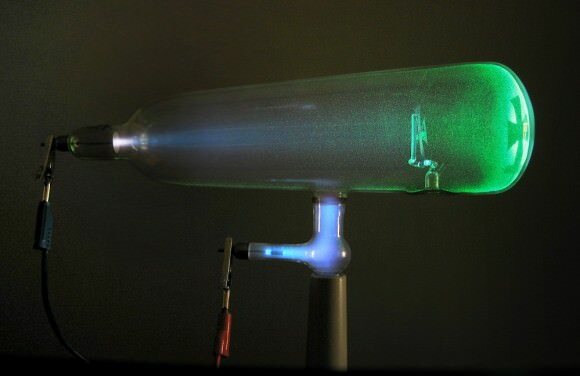 When voltage is applied across the electrodes, cathode rays are generated (which take the form of glowing patch of gas that stretches to the far end of the tube). Through experimentation, Thomson observed that these rays could be deflected by electric and magnetic fields. He concluded that rather than being composed of light, they were made up of negatively charged particles he called “corpuscles”. Upon measuring the mass-to-charge ration of these particles, he discovered that they were 1ooo times smaller and 1800 times lighter than hydrogen. 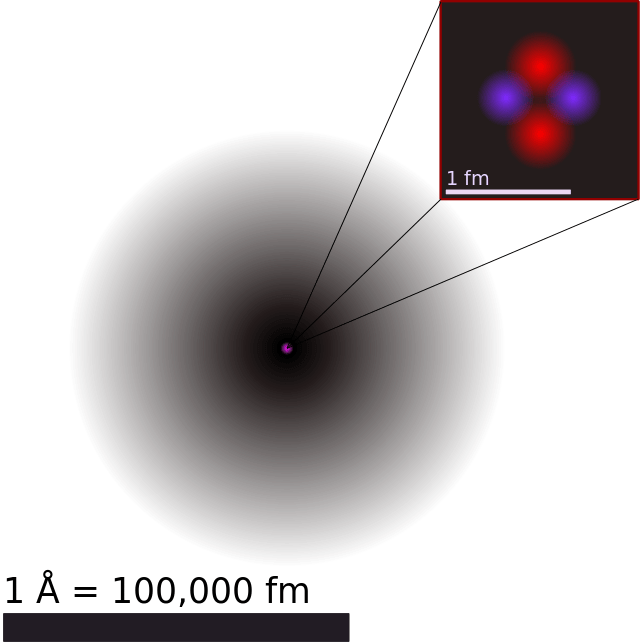 This effectively disproved the notion that the hydrogen atom was the smallest unit of matter, and Thompson went further to suggest that atoms were divisible. 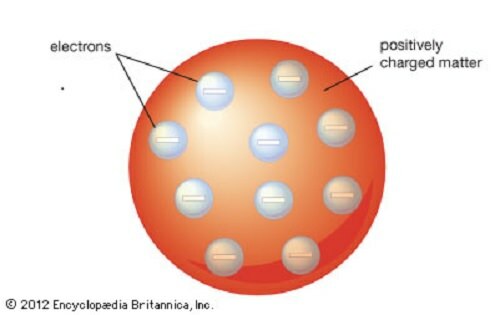 To explain the overall charge of the atom, which consisted of both positive and negative charges, Thompson proposed a model whereby the negatively charged corpuscles were distributed in a uniform sea of positive charge. Unfortunately, subsequent experiments revealed a number of scientific problems with the model. For starters, there was the problem of demonstrating that the atom possessed a uniform positive background charge, which came to be known as the “Thomson Problem”. Five years later, the model would be disproved by Hans Geiger and Ernest Marsden, who conducted a series of experiments using alpha particles and gold foil. In what would come to be known as the “gold foil experiment“, they measured the scattering pattern of the alpha particles with a fluorescent screen. If Thomson’s model were correct, the alpha particles would pass through the atomic structure of the foil unimpeded. However, they noted instead that while most shot straight through, some of them were scattered in various directions, with some going back in the direction of the source. Subsequent experiments by Antonius Van den Broek and Neils Bohr refined the model further. While Van den Broek suggested that the atomic number of an element is very similar to its nuclear charge, the latter proposed a Solar-System-like model of the atom, where a nucleus contains the atomic number of positive charge and is surrounded by an equal number of electrons in orbital shells (aka. the Bohr Model). 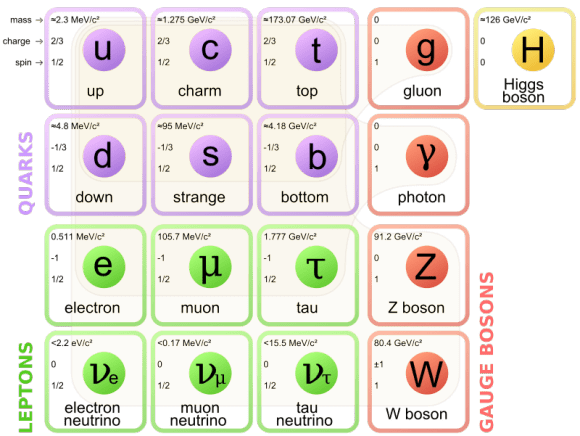 Though it would come to be discredited in just five years time, Thomson’s “Plum Pudding Model” would prove to be a crucial step in the development of the Standard Model of particle physics. His work in determining that atom’s were divisible, as well as the existence of electromagnetic forces within the atom, would also prove to be major influence on the field of quantum physics. At the end of the 19th century, physicists were finally beginning to understand the nature of matter itself, including the discovery of electrons – tiny particles of negative charge that surround the nucleus. Here’s how J.J. Thompson separated the electrons from their atoms and uncovered their nature. What is an electron? Easily put, an electron is a subatomic particle that carries a negative electric charge. There are no known components, so it is believed to be an elementary particle(basic building block of the universe). The mass of an electron is 1/1836 of its proton. Electrons have an antiparticle called a positron. Positrons are identical to electrons except that all of its properties are the exact opposite. When electrons and positrons collide, they can be destroyed and will produce a pair (or more) of gamma ray photons. Electrons have gravitational, electromagnetic, and weak interactions. In 1913, Niels Bohr postulated that electrons resided in quantized energy states, with the energy determined by the spin(angular momentum)of the electron’s orbits and that the electrons could move between these orbits by the emission or absorption of photons. These orbits explained the spectral lines of the hydrogen atom. The Bohr model failed to account for the relative intensities of the spectral lines and it was unsuccessful in explaining the spectra of more complex atom. Gilbert Lewis proposed in 1916 that a ‘covalent bond’ between two atoms is maintained by a pair of shared electrons. In 1919, Irving Langmuir improved on Lewis’ static model and suggested that all electrons were distributed in successive “concentric(nearly) spherical shells, all of equal thickness”. The shells were divided into a number of cells containing one pair of electrons. This model was able to qualitatively explain the chemical properties of all elements in the periodic table. The invariant mass of an electron is 9.109×10-31 or 5.489×10-4 of the atomic mass unit. According to Einstein’s principle of mass-energy equivalence, this mass corresponds to a rest energy of .511MeV. Electrons have an electric charge of -1.602×10< sup> coulomb. This a standard unit of charge for subatomic particles. The electron charge is identical to the charge of a proton. In addition to spin, the electron has an intrinsic magnetic moment along its spin axis. It is approximately equal to one Bohr magneton. The orientation of the spin with respect to the momentum of the electron defines the property of elementary particles known as helicity. 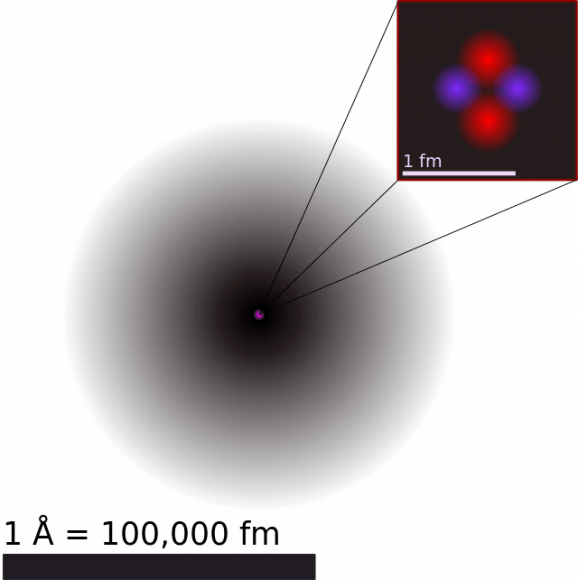 Observing a single electron shows the upper limit of the particle’s radius is 10-22 meters. 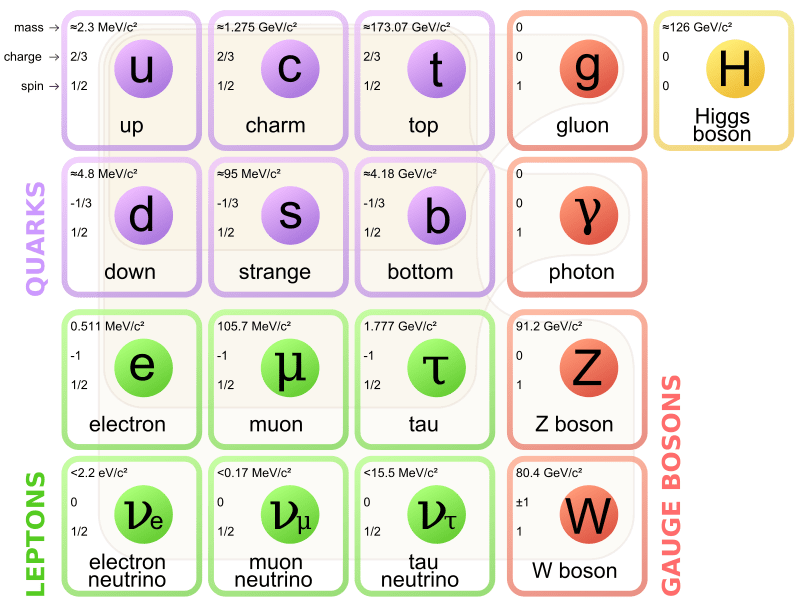 Some elementary particles decay into less massive particles. But an electron is thought to be stable on the grounds that it is the least massive particle with non-zero electric charge. Understanding what is an electron is to begin to understand the basic building blocks of the universe. A very elementary understanding, but a building block to great scientific thought. We have written many articles about the electron for Universe Today. 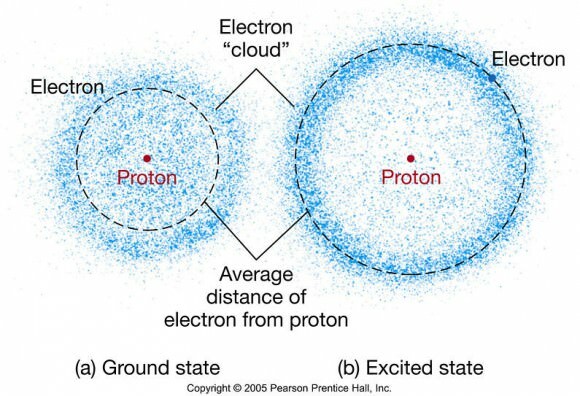 Here’s an article about the Electron Cloud Model, and here’s an article about the charge of electron. If you’d like more info on the Electron, check out the History of the Electron Page, and here’s a link to the article about Killer Electrons. We’ve also recorded an entire episode of Astronomy Cast all about the Composition of the Atom. Listen here, Episode 164: Inside the Atom.